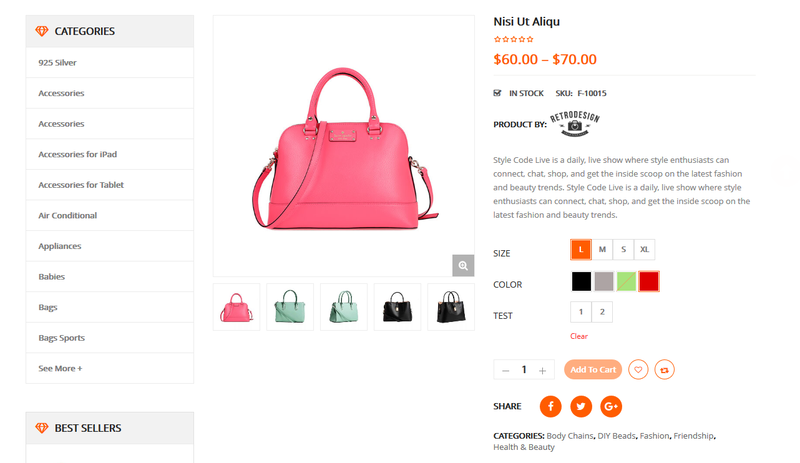 Let’s learn how to add Brand Image into Product Detail Page in Revo WordPress Themes! Firstly, a huge thanks for purchasing our themes. If you still had problem with our theme, please feel free to contact us via our Support Ticket System then we will support you until you feel happy with our product! As you know, we’ve added Brand Image as a new feature in Revo theme. We will update this one in our other themes later. How to Use Product Brand Image in Product Detail Page? 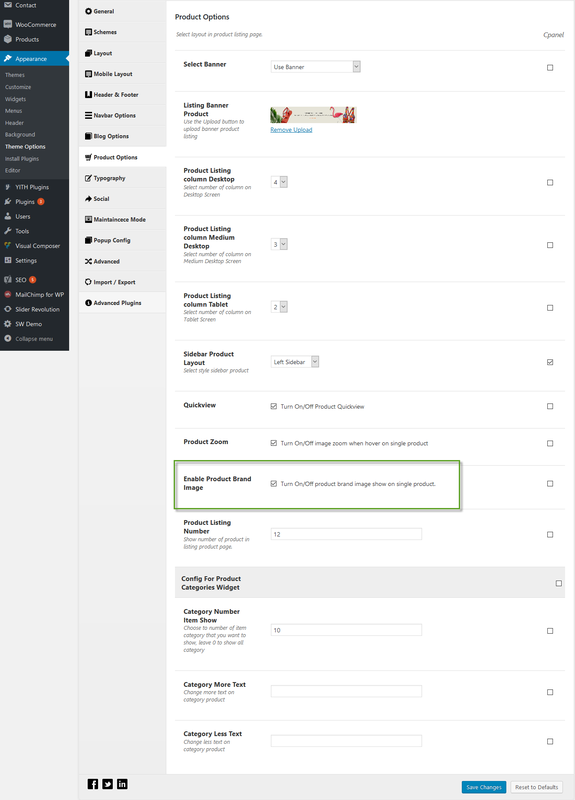 Step 1: Go to Appearance > Theme Options > Product Options and choose to Enable Product Brand Image.If you do not enable this option, the Brand Name will appear in Product Page instead of Brand Image. 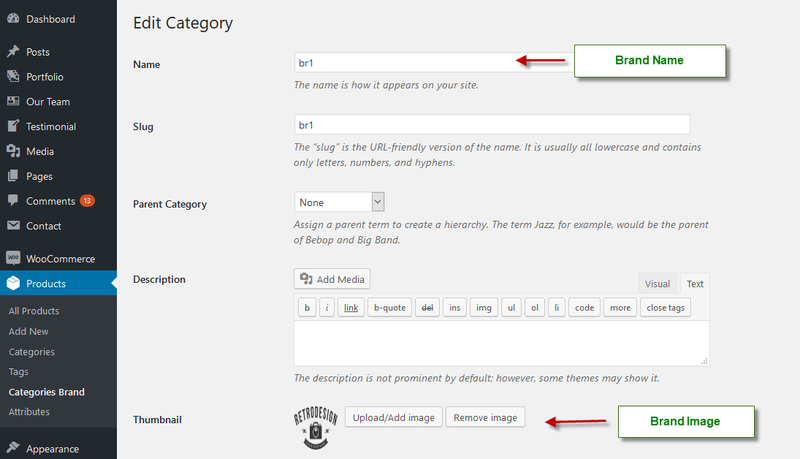 Step 2: Create Categories Brand and Upload Brand Image in Products > Categories Brand. Step 3: After that, when creating product, you need to assign product to category brands in Categories Brand area. Step 4: After all, you can preview product to see the change and then save it. 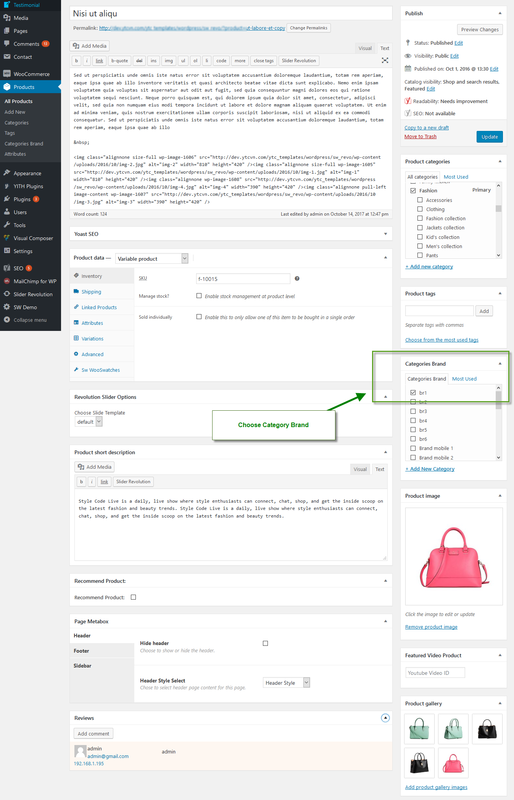 With just a few simple steps, you will have this greate feature for product in your site.